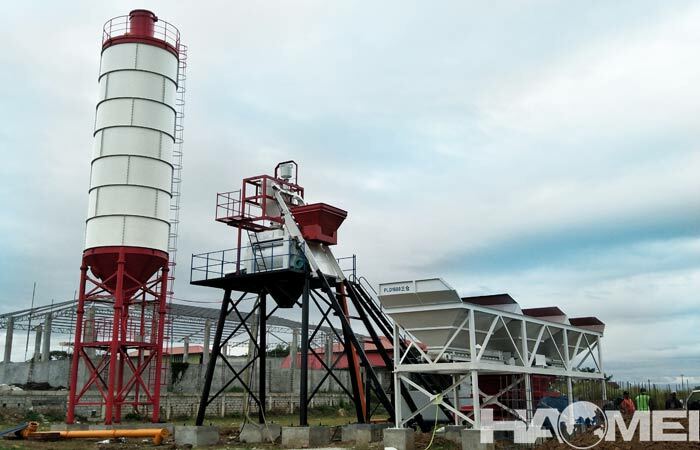 The investment costs of ready mix concrete plant for sale is not low , so many aspects should be considered when selecting the model of concrete mixing plant. Many people have noticed the construction period and construction quantity, but we need to remind everyone to ensure smooth construction and construction quality, the construction environment also need to be considered and prepared. 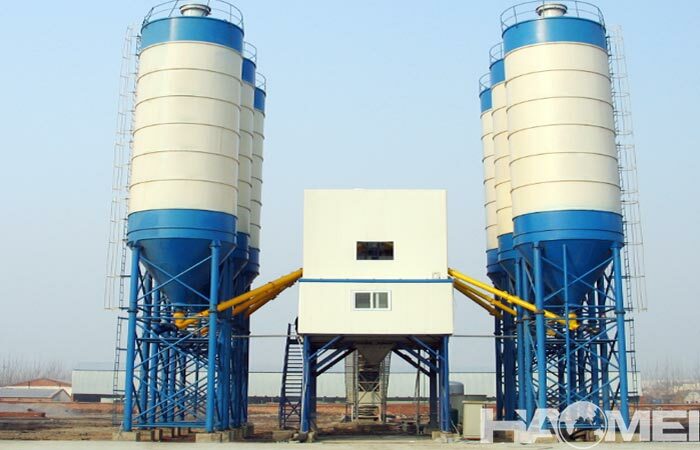 Here are some suggests about the relationship between models of ready mixed concrete batching plant and the construction environment. 1. 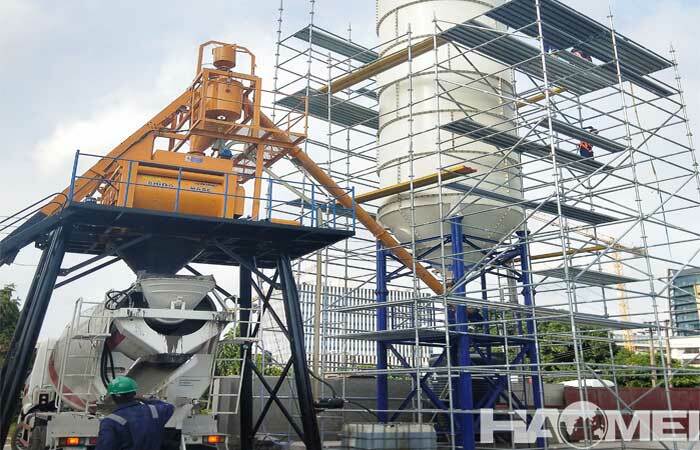 When the construction site needs a large amount of concrete with one-time pouring (mixing for more than 12 hours), if the quality requirements of the concrete are high, and there is no ready mix concrete batching plant that can be replenished nearby, it is better to choose two sets of concrete batching plants with smaller specifications, or choose a master and a pair of two concrete mixing machine configuration. 2. When the construction site is inconvenient, it takes a lot of time for the maintenance personnel to enter and leave the construction site. 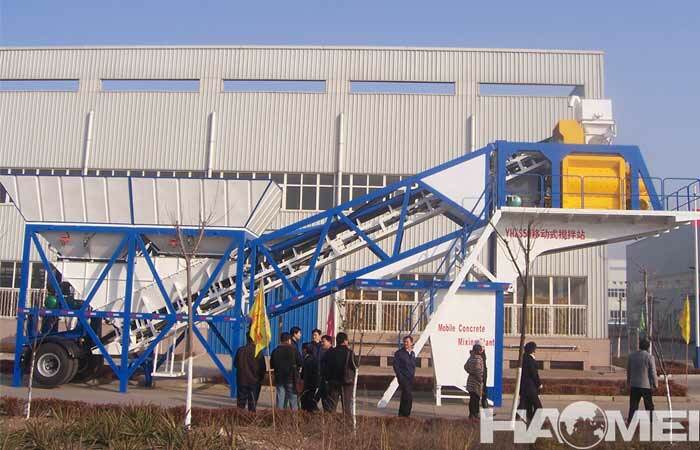 It is better to use the same small-sized two-machine ready mix concrete plant or prepare enough spare parts to ensure smooth construction progress. 3. 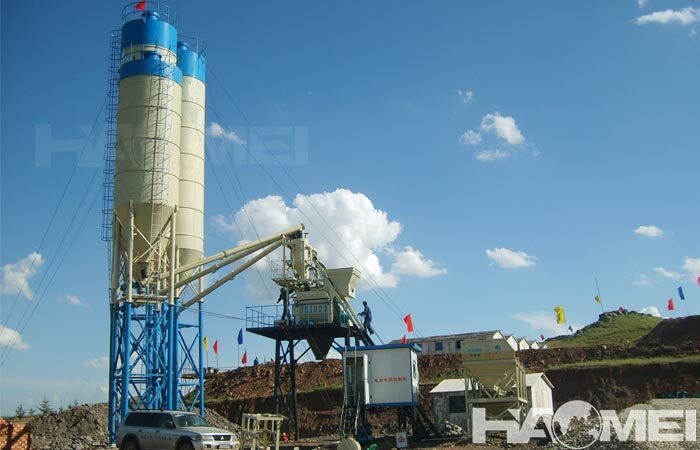 When the construction site is scattered, but the distance between the construction sites is not too far, the conveying radius of the concrete mixer truck is not more than half an hour, and the dump truck transportation is no more than 10 minutes. 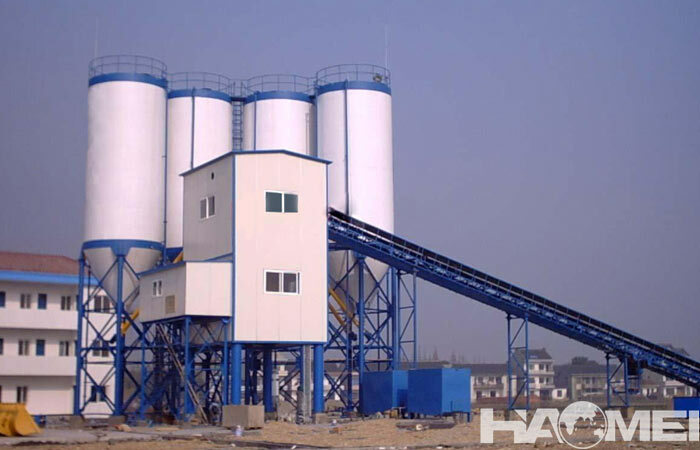 It is better to use the multi-work number to concentrate the mixing to improve the utilization rate and construction economic benefits of the ready mix concrete plant for sale.